Bloom Into You Vol. 1 Review – AiPT! 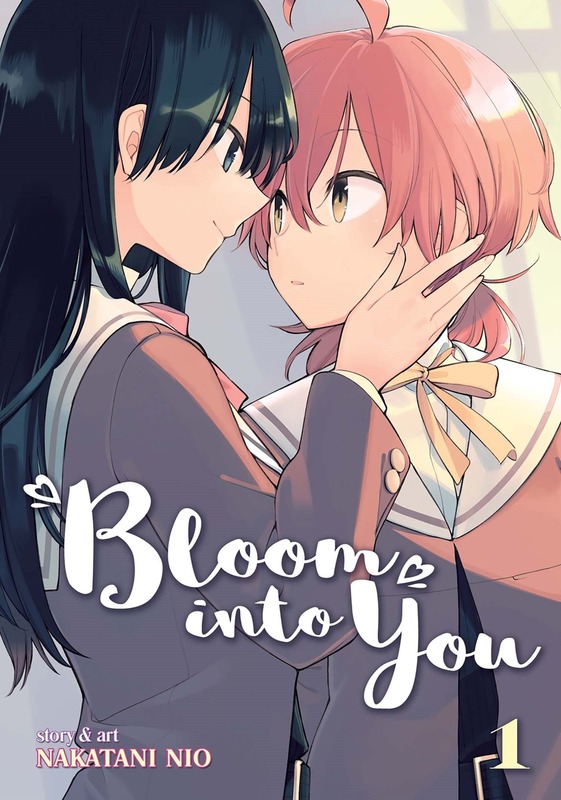 Nakatani Nio’s Bloom Into You is a tale of budding romance between high school girls who’ve never felt the kind of love they see depicted in movies and books. Yuu, a first-year high school student, meets Nanami, a second-year student who shocks Yuu with a confession: she’s in love with her. Though Yuu doesn’t immediately reciprocate Nanami’s feelings, the two grow closer by working together on Nanami’s school counsel presidential campaign. The series’ first volume, published by Seven Seas Entertainment, collects its first five chapters. Does Bloom Into You get off to a good start? One of this volume’s main strengths is the slow burn approach it takes to exploring the main characters’ emotions and relationships. Yuu is a young protagonist who’s never experienced true love before, and she isn’t entirely sure how to process her affections. Her feelings for Nanami grow organically, and they’re far from stereotypical blind infatuation. The characters allow each other to see their more undesirable traits, which helps make them more dynamic as well as easier to empathize with. The slow pacing also gives the characters and events room to breath, which helps prevent anything from coming across as a foregone conclusion. It’s unclear how the friends’ relationship will grow next even at the end of the volume. These are teenagers, after all; little about their futures should ever feel definite. Visually, this series is great. Nio has a soft and charming style befitting the content. There’s a sense of fragility generated by the characters’ anxieties, and Nio’s artwork reflects that well. The line-work is quite thin and crisp, and most of the shading throughout is rendered via sorts of lovely grayscale patterns common to shojo manga. All in all, this book is pleasing to look at. My favorite panels are likely those of the characters moving between locations and actions. These silent images capture the moments between significant conversations and events, showing the mundane shuffle within which the characters experience their anxieties. By doing this, Nio is able to convey awkward and thoughtful passages of time without relying on narrative captions. There’s not a whole lot to dislike about this volume. By and large the slow pacing and character exploration help the manga avoid romance cliche pratfalls. If anything the series might benefit from a little more slowing down. It would have been nice to see a few more interactions between Nanami and Yuu prior to the election events near the end, as these are the only scenes that feel slightly rushed. A bit more contrast and solid black in the art would also have been nice. As is, the visuals are so uniformly light that they can sometimes cause a bit of eye-strain. It’s not extreme enough to be a huge deal, though. All in all, Bloom Into You Vol. 1 is an enjoyable read. Nio does a solid job introducing the protagonists, and the action is effectively character driven. The visuals are also pleasing to look at and match the emotional story effectively. There are some minor cons with the pacing at the end, as well as with the lack of contrast among the line-work’s tones. Nonetheless, this volume gets the series off to a great start. A sweet manga with good character focus and artwork.